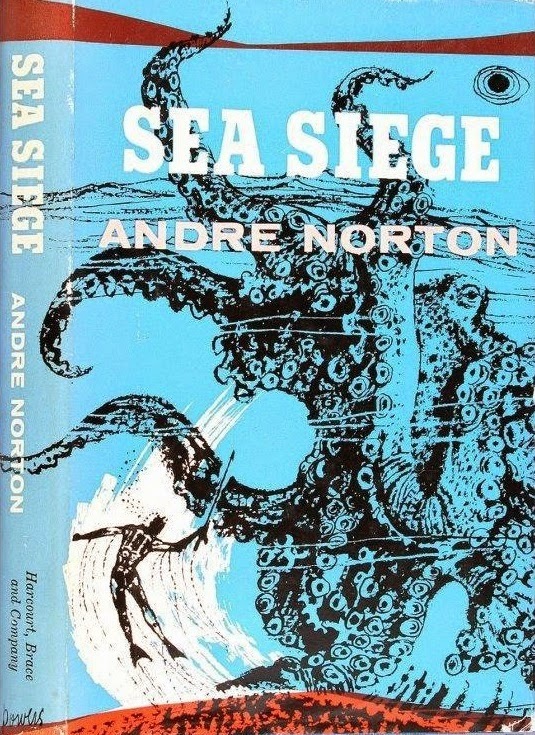 This post features three covers for Andre Norton's Sea Siege. This 1957 novel is both a pre- and post-apocalyptic Cold War adventure starring the wonderfully named Griff Gunston. 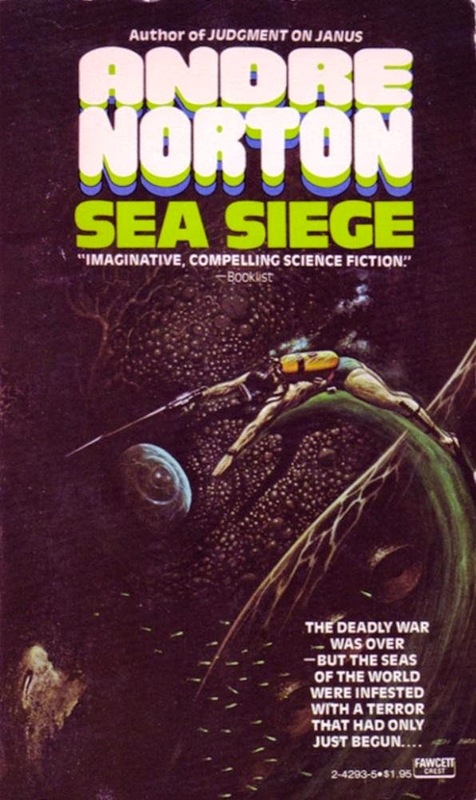 The first cover is from the original hardback edition (artist unknown). This 1971 paperback edition features a cover by transgendered artist Jeff Jones who died in 2011. You can read more about Jones' sometimes tragic life here. 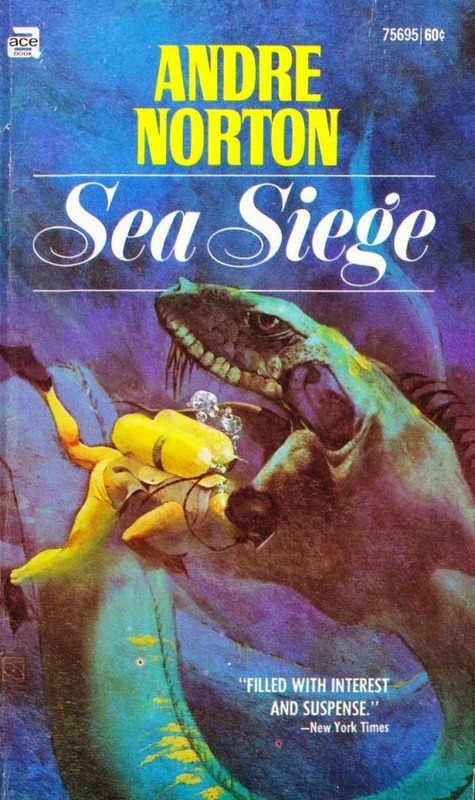 This 1980 cover was painted by Ken Barr who was one of the original cover artists for D.C. Thomson's long-running Commando series. His other work includes covers for Marvel's magazine range in the '70s (Doc Savage, Marvel Preview, Deadly Hands of Kung-Fu etc.) as well as strip work for Warren's Eerie and Creepy and DC's G.I. Combat and Ghosts. Two of a Kind - A Hearse of Another Colour.